If your house number sign is made of marble, slate or granite, use warm water with gentle dishwashing liquid. To avoid surface scratches, wipe the stone with a soft cloth or sponge, dampened with the soapy solution, in circular motions. Dry immediately using another soft cloth. Never use vinegar as its acidic properties will damage the stone. For rust stains on stone, clean with a mixture of lemon juice and salt and leave the mixture for a short while, giving it enough time to react to the rust stains. Wash thoroughly with water and leave to dry. If your house number sign is made of brass or bronze, make a paste out of half a lemon and a teaspoon of baking soda and gently rub it into the brass and rinse with water. Dry with a towel. You can also remove tarnished spots by dabbing ketchup on the spot and rubbing it with a soft cloth. If your house number sign is made of aluminum, make a solution out of cream of tartar and water and clean the sign using a soft cloth. If your house number sign is made of stainless steel, wipe any dirt or stains using undiluted white vinegar or olive oil. If your house number sign is made of wood, mix a mild solution of water and dishwashing liquid soap. Lightly dampen the cloth with the solution and wipe your house number sign. Do not soak the wood with water. 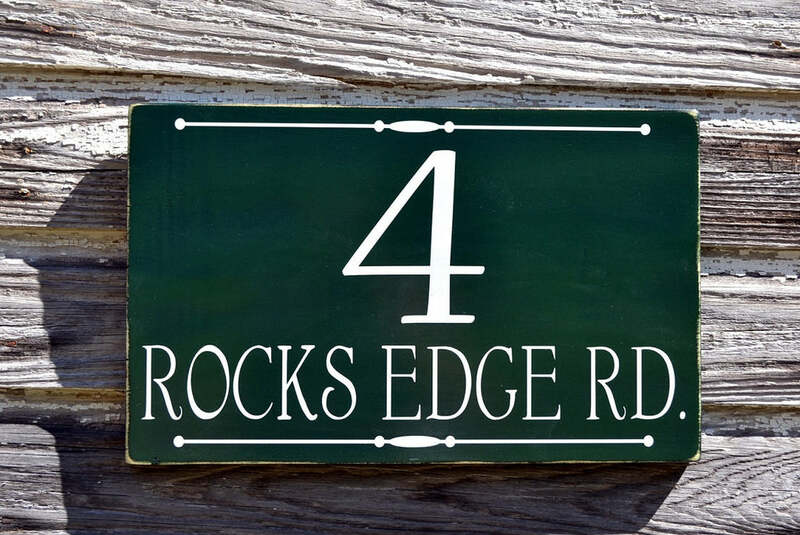 While some wooden house number signs are made to last and are weather resistant, you may want to repaint your wooden sign or varnish it as needed.